4.) We won’t miss the live shows. The stage shows and live entertainment offered at Walt Disney World trump anything any other family amusement park setting has to offer. Unlike some of its competitors, Disney World’s line-up of stage productions are worth the wait—some are even worth a FastPass+ selection! Because of this, we will never visit Disney again and miss the amazing shows. Animal Kingdom’s “Finding Nemo—The Musical” showcases new beautiful music inspired by Disney/PIXAR’s Finding Nemo and makes use of some very complex (and huge!) puppets, artfully choreographed by master puppeteers. 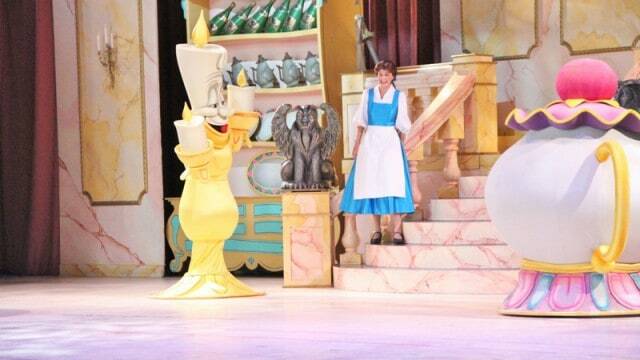 Hollywood Studios’ “Beauty and the Beast—Live on Stage!” recounts the “tale as old as time” at the park’s Theater of the Stars. The entire cast from Disney’s Beauty and the Beast make appearances, and this show is one for which you might even consider using a FastPass+ so you get one of the best seats in the house. There are other shows and live entertainment offerings across the Walt Disney World Resort, and not a single one is poor in quality. Don’t miss them!